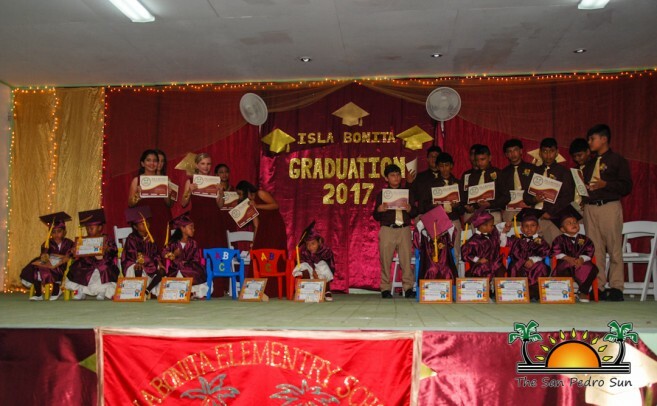 On Saturday, June 17th, Isla Bonita Elementary School (IBES) held their graduation service and 17th commencement exercise program at the R.A. Nuñez Auditorium. 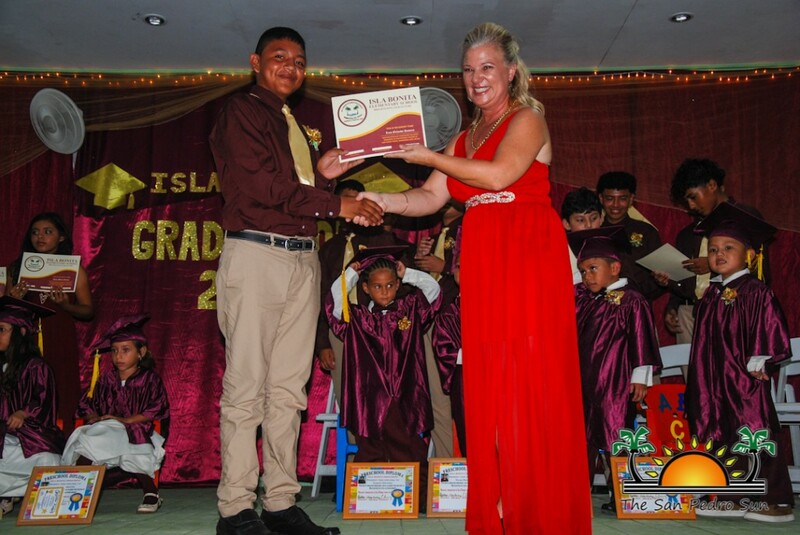 Under the theme, “Dare to dream big and never lose grip on your dreams; cling to them even if they seem too far”, the graduates proudly marched to the tune of Pomp and Circumstance. 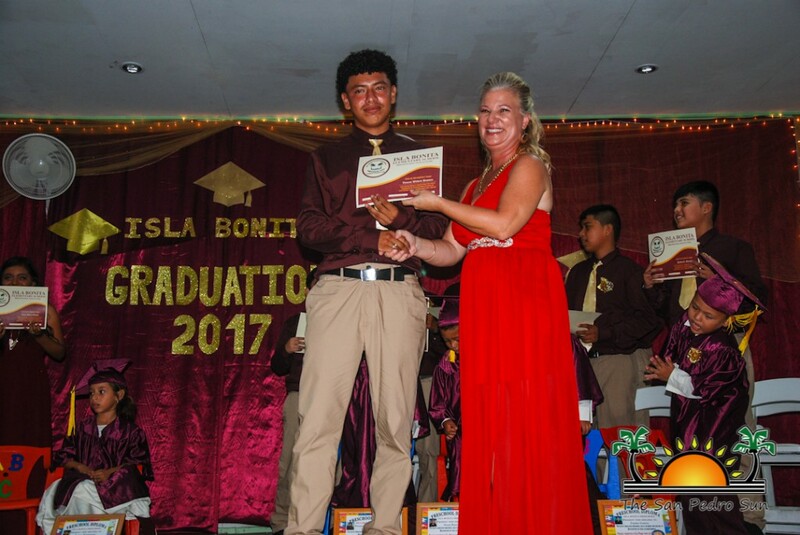 Mistresses of Ceremonies were Joycey Acosta and Sharon Hazel, and an opening hymn by Severo and Ramon Guerrero, Leoni Trejo, and Leni Alamilla opened the program. Pastor Clive Welsh then gave a special invocation, blessing all of the graduates and encouraging them to further their education. 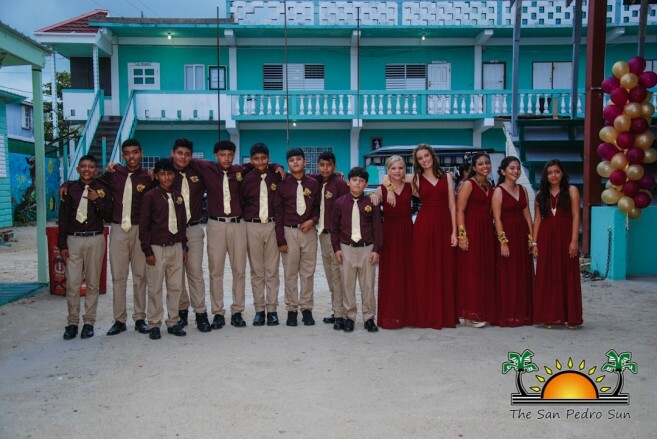 After a final hymn, the program proceeded with the singing of the National Anthem, and a National Prayer. 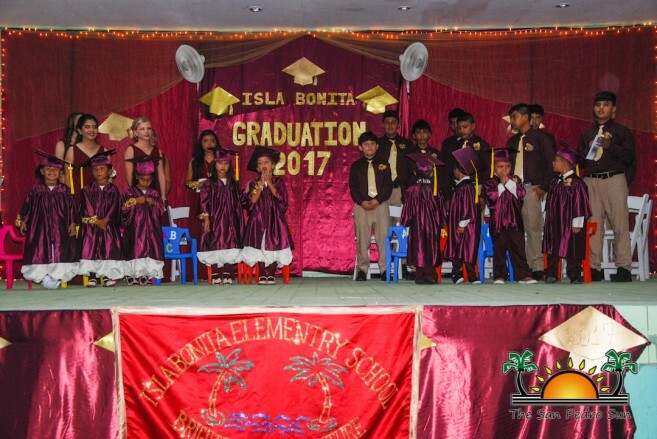 The preschool 2017 graduating class made a pledge their class, along with a pledge to the Belizean flag, and presented a welcome song. 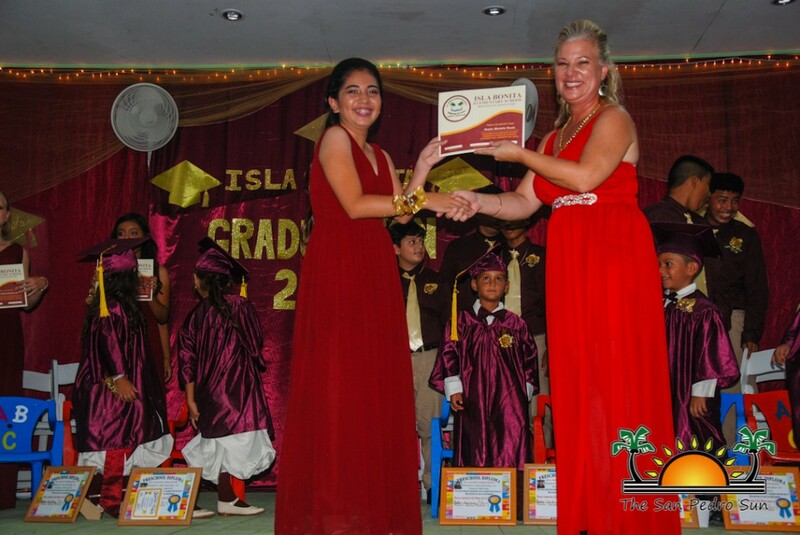 Standard Six graduate Anna Garcia gave the official welcome address, where she thanked the gathering of family members, teachers, and honorary guests for attending the ceremony. 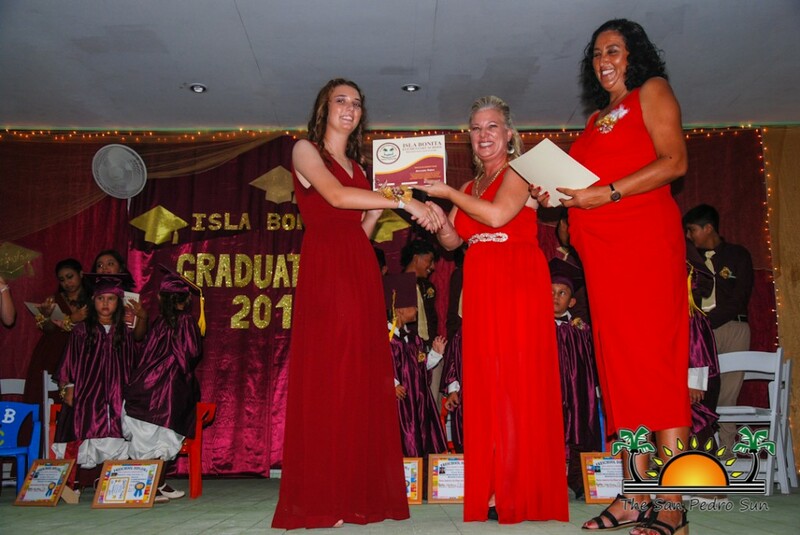 After Standard Six graduate SierraSky Ashton delivered her inspiring Salutatorian Address, Principal Addy Martinez then delivered the principal’s message. 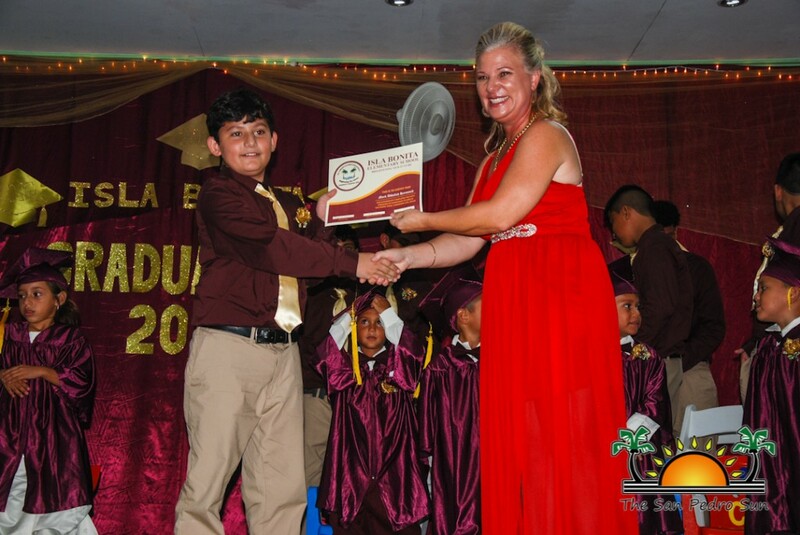 Martinez reflected on the IBES’s past school year, and recognized its many accomplishments. 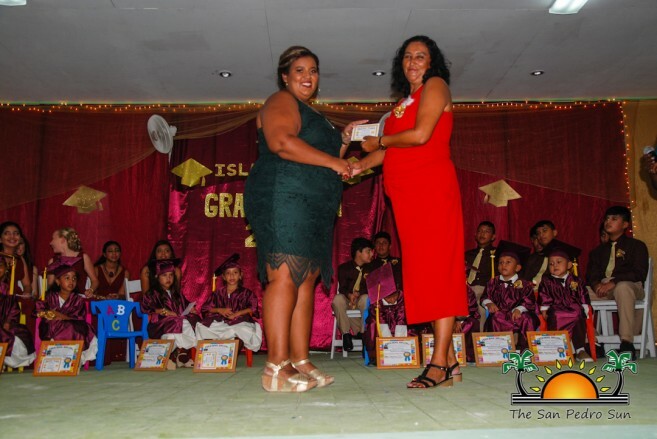 Dr. Renae Reasa was the guest speaker for the event, and she shared some words of encouragement to both preschool and Standard Six graduating classes. 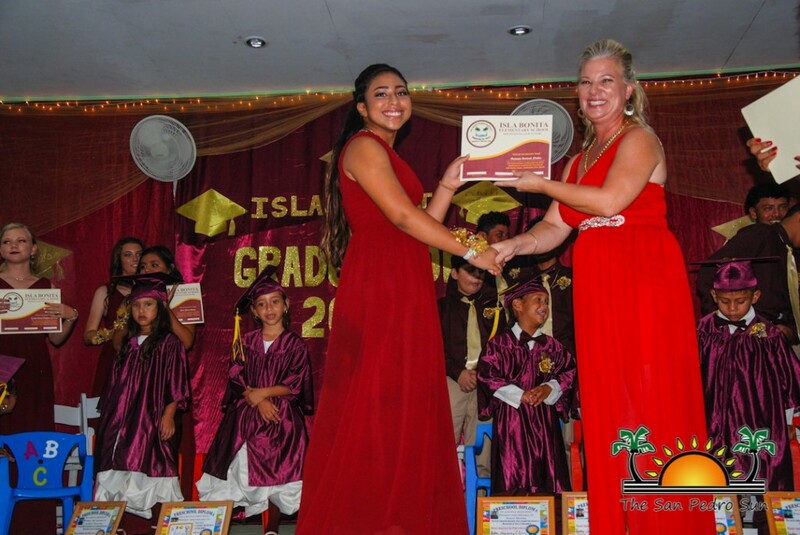 Principal Martinez issued the certificates and awards to the preschool graduating class: Ziannie Briceno, Christine Carillo, Anabelle Escalante, Kayla Rodriguez, Analia Valencia, Jane Valencia, Sauda Wiltshire, Noah Boulant, Zaidan Garcia, Sanjay Matura, and Omar Schulte. 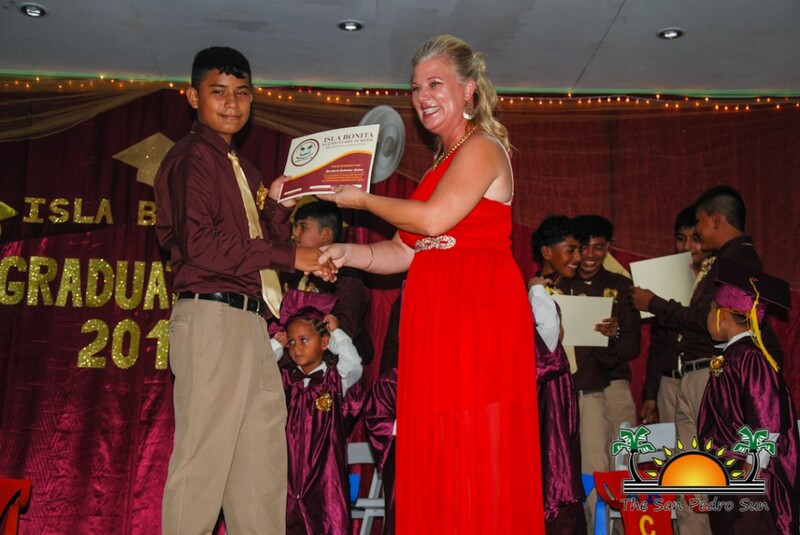 Immediately after, Principal Martinez and Dr. Resae issued certificates to the Standard Six graduating class: SierraSky Ashton, Anna Garcia, Genesis Nuñez, Caroline Sersland, Gisselle Varela, Ethan Caliz, Vincent Dawson, Jose Duran, Mark Harmouch, Jayden Marin, Heriberto Palma, Joshua Peralta, Kyle Recinos, and Luis Romero. 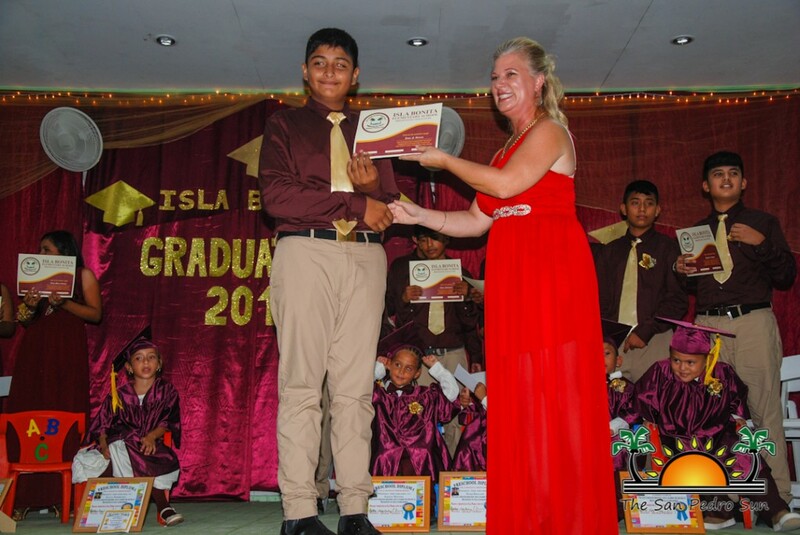 The graduates were gifted with another certificate for their participation in the community policing initiative. 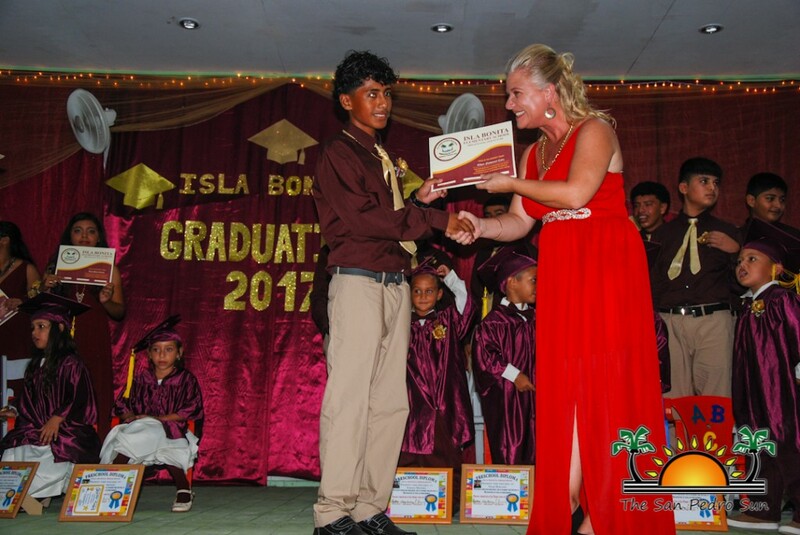 As part of this effort, Police Constable (PC) Juan Choc and Harris Gabourel have been introducing the ‘Gang Resistance Education and Training’ (GREAT) Program across island schools. PC Gabourel congratulated the graduating class for their participation. 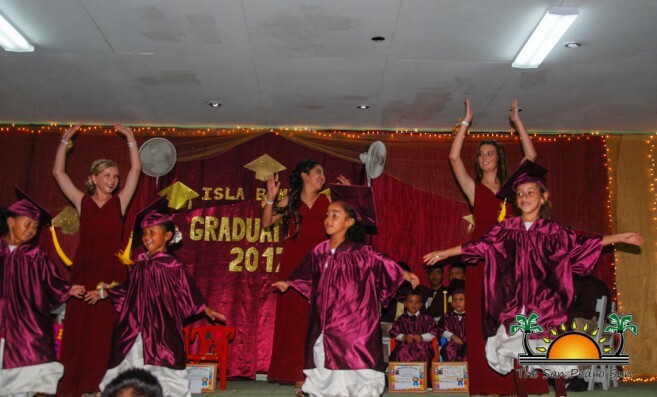 Following the preschool’s class song and dance skit, the Standard Six graduating class sang their rendition of “Best Day of My Life”. 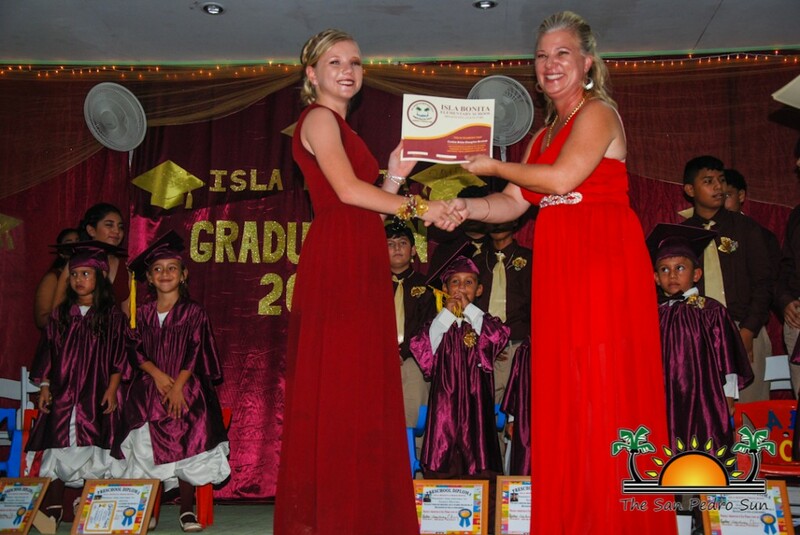 Caroline Sersland then delivered the Valedictorian Address, and thanked her parents, classmates, and teachers for being a part of her success. 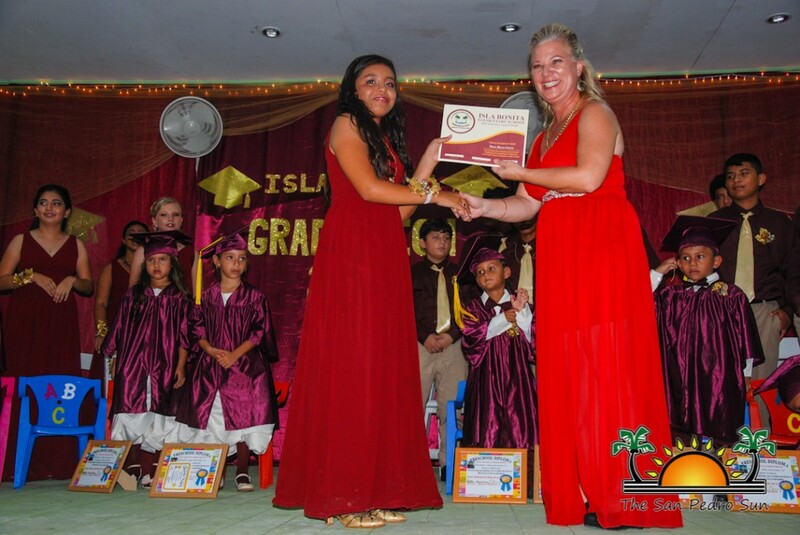 She encouraged her classmates to follow their dreams, and to strive high in order to reach their goals. 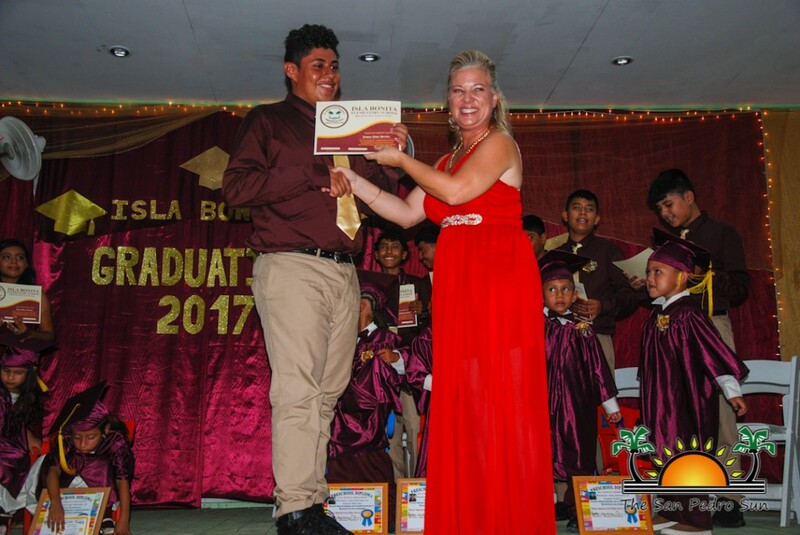 After Teacher Pedro Garcia and Teacher Reina Guerrero led the candle lighting ceremony, Standard Six graduate Giselle Varela gave the parents’ appreciation speech, during which parents were presented with roses. 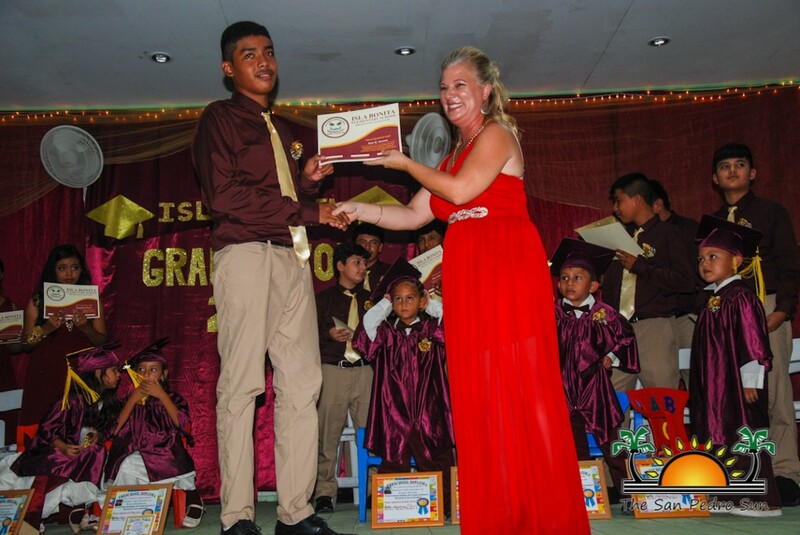 The graduation ceremony ended with MC Acosta delivering the Vote of Thanks. 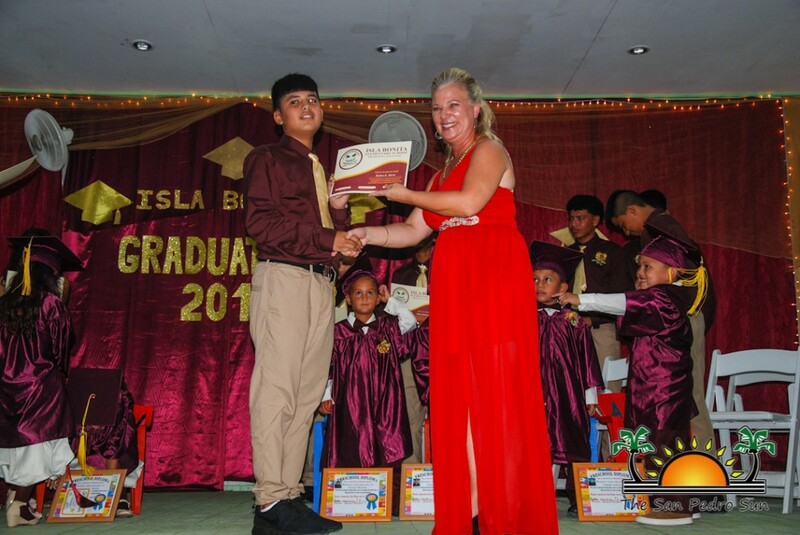 The San Pedro Sun congratulates all graduates of IBES!